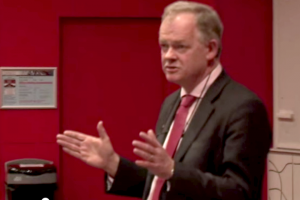 A very good friend and mentor of mine – and many others – Professor Aidan Halligan (former Deputy Chief Medical Officer for England) died in April. He was only 57. We met at an event in Rome, some 13 years ago, and I was instantly struck by his presence, wisdom and compassion. And for the first time in my life, I had a real talk about the challenges of leadership. Over time, I learned many things from Aidan – things we could all benefit from, particularly now, when we are looking at how we can live up to the commitments in the Leadership Statement. At our first meeting, Aidan asked me to introduce my team. He spent some moments deep in conversation with one particular colleague. She told me later that he was totally focused on what she was saying about her disabled son, and how he had offered to help her. And he did so. He had made her feel special. And he did the same a thousand times over with others. As he would say, “it’s your example that counts, not your rank”. Time spent with Aidan was precious. He always made you feel you were the centre of his attention. Too often, the older we get, the less we feel we have anything to learn. Aidan was totally the opposite. He said he learned from everyone he came into contact with, and would scribble down notes of what he had taken from his meetings. Aidan learned from everyone. It was inspiring to hear Aidan talk about his work. “Compassion is noticing the suffering of another and being sufficiently moved by it to help them in some way,” he said. But compassion needs courage and action to make a difference. During our last conversation, he spoke about Pathway, one of his London charities, which gives homeless people access to healthcare, saving lives in the process. It is now active across the UK. Aidan built it up from scratch, in his own quiet, determined and compassionate way. While many of us are moved by hardship and injustice, Aidan did something about it. He always showed an interest in my life away from work, as well as my Foreign Office career, though he considered work and home parts of the same whole. "It’s all life," he used to say – intrinsically, we are the same person with the same values. And he always wanted to know what I was learning, and shared his learning with me along the way. He had a profound influence on my thinking and – I hope – my behaviour. He wrapped up depths of humanity and humility with wisdom in a way I’ve never encountered in anyone else. I thought my friendship with him was unique. How wrong I was. But that was part of his gift, he made everyone feel special and touched many in the same way. He sprinkled his magic on many – around 400 attended his funeral. Above all, it was that total human connection that made him so extraordinary and which has something to tell us about ourselves and leadership. Thank you for such a personal account which goes to the heart of leadership and connecting with our colleagues on a deeply human level. Thank you Ashley Prime for passing on these wise reflections on compassionate, disciplined, leadership. Through your blog, the inspiring words of the late Professor Halligan will have an even greater ripple effect. 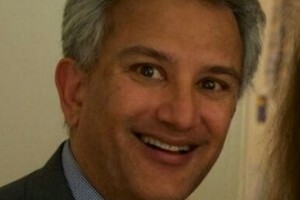 I was close to tears reading this, mainly because of the loss of a great person - thank you for highlighting the human connection that we all have and how Civil Service leadership would truely evolve to another level if we practiced some of this advice. I really enjoyed reading this and take inspiration - what a role model and thank you for sharing. Now, he sounds like a real leader! This is lovely ! Thank you. A touching tribute to an inspirational man. Thank you so much for sharing this with us. I'm not a Leader, per se, but part of the middle management in the Land Registry (LR). I think everyone should be interested in management styles, because at the end of the day, it has a massive bearing on both our working and private lives. It's great to have a good leader that does all the positive things highlighted in the article, because if you are lucky enough to have experienced someone like this you will know how this made you want to do the best not just for that person, but for your organization (I still hold fond memories of my first line manager in LR, who through her wit and professionalism inspired me to produce a quality product). The problem with many organizations however is that they don't always recognize these people and the impact they have on their staff and so when there is any re-structuring, there is no real planning for like for like replacements, which can then lead to a team that may once have performed very well to lose focus and underperform. I loved reading this, my first thoughts is statements like these, make you want to belong. It's important to know you belong to an organisation thats see's you as an individual and everyone can bring their unique skills to the workplace. "Only when we care, we can make the difference that matters"
So pleased to see your Blog. Aidan set up the NHS Staff College 6 years ago. Individuals attending have raved about our experiential courses but we have always struggled to achieve formal accreditation and central funding. . The Staff College has recently incorporated as a charitable company; ‘The Staff College: Leadership in Healthcare.’ We anticipate full registration as a charity shortly. As an independent charity our objective is to develop Aidan's vision and provide leadership development across the whole healthcare sector. Our ambition is to make our courses available to all those who aspire to lead from as early in their careers as possible right up to and including the strategic level. We will seek to deliver courses to members across England and the UK; overtime attracting an international membership as befits a sector with such a diverse workforce. We will seek to use our charitable status to raise funds from the individuals and organisations to fast track this development for the benefit of staff, service users and the public at large. Next week will see the first joint pilot programme between the Joint Services Command and Staff Course and the Staff College for 40 senior health professionals, who will be embedded in the military’s leadership and management module for an intensive 5 day residential programme. We are very excited about this. Our next steps will be to re-develop our through-career programmes, with the intent of re-launching a comprehensive set of courses early in the new year. Further details can be found on our website, staffcollege.org, which is currently being updated. This is really good, as part of my MBA the personal development journey is being brought out as a very important feature (I have an Aidan Halligan too), making the other aspects merely implementation tools to satisfy business needs. The personal side has an immense impact on a resource that responds (sometimes far greater than expected) to almost all stimulus in the workplace. As we're not robots we need a considered approach, it's something that can be taught but isn't being promoted in the right way I feel. We see a lot of talk about Leadership and engagement and we can see that engagement isn't good in the civil service (please look at the leading practitioners definition of engagement and compare to the civil service - you'll see there is a huge gulf). We also see that there are opportunities in civil service learning to improve upon this, but somehow this isn't changing things. I feel we need a fresh approach.